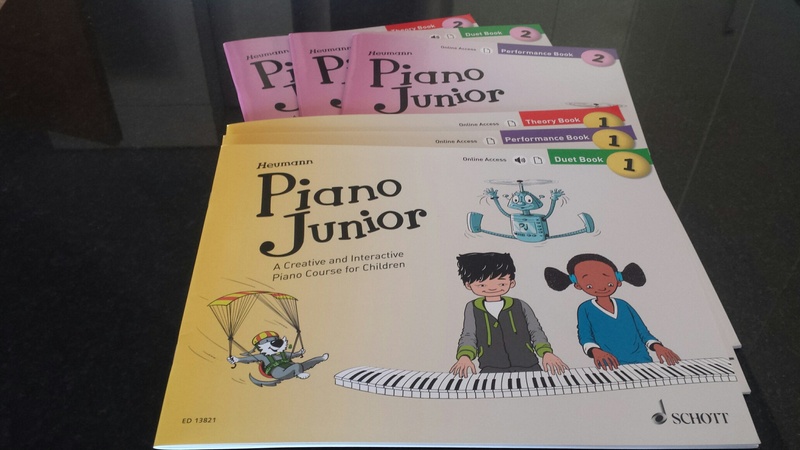 Today’s competition features the recently published piano method, Piano Junior (Schott Music). Written by German composer and pedagogue Hans Günter-Heumann, it is designed as ‘A creative and interactive piano course’ for children from the age of 6, which progresses in small, manageable steps. The course encourages creativity through regular, integrated ‘corners’, such as composing, improvising, playing, technique, ear training, memory, sight-reading and music quizzes. Introduced by the main ‘character’, PJ the robot, this beautifully illustrated method features a whole series of books, as well as a plethora of other materials including videos, audio demos and play-alongs for all the pieces, as well as a range of extra fun resources to download. The series offers a lesson, theory, duet and performance book in, at present, Level 1 & 2 (Level 3 & 4 will be available soon). I have a Level 1 Theory, Duet and Performance book (for one winner (3 books)), and a Level 2 Theory, Duet and Performance book (for a second winner (3 further books)), in this week’s lucky draw. Please leave your comments in the comment box at the end of this post, I will announce the two winners on Monday evening (British time). Good luck! You can find out much more about the Piano Junior method from the comprehensive website here. I’m always excited to see new materials for this age range! I would love to try this approach, Melanie. Thanks for the opportunity! I would love to give these a go. Thank you for the competition and good luck to everybody. Is the competition open to teachers overseas? Thanks for letting us know about this. After exploring the website, I like what I’ve seen so far. And lots of good supplemental support. Would be very interested in this new series; looks intriguing! I’ve been searching for a new method to try out, and this one looks great!